Writing graduation speeches can be exciting and at the same time intimidating. It's hard to know what to say and how to craft your speech to appropriately capture the attention of the audience. You want to communicate sentiments that all audience members can appreciate. You also want to capture the feelings and thoughts of the graduates as a group of which you are very much a part. 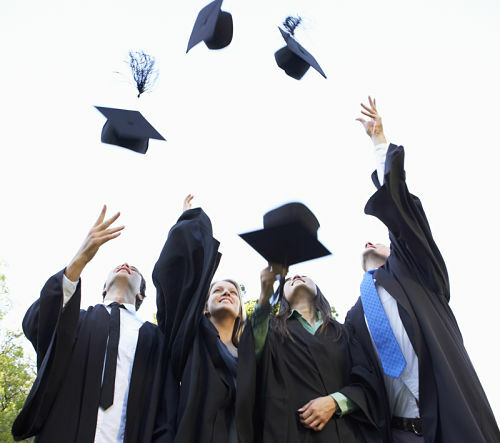 Graduation speeches should draw a distinct line between the past and the future. The present is the ceremony in which you are participating, and the past - the four years you've shared with your classmates. Your futures will be separate and distinct from one another. You will travel your own unique paths in life and never again share the type of common experiences that you enjoyed together in school. 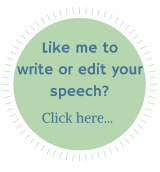 Composing graduation speeches is a unique experience for each presenter, but there are some features which should be included in any such speech. Once you've included those elements, you are free to add any extra stories, observations and thoughts that you wish. Mention how special the occasion is, and how proud and honored you are to be a part of it. Welcome the guests in attendance, and recognize that they are there to celebrate with you and their own loved ones participating in the ceremony. Acknowledge those who have helped you achieve your goals - friends, family, teachers, coaches, tutors, and administrators. Recognize your classmates and their achievements as well. Let them know you see they have all made great strides in reaching graduation with you. Use meaningful quotes and well selected stories to communicate the significance of the event you're celebrating. Include some humor, as you are a part of a happy and joyous occasion. Just as important as knowing what to say is knowing what NOT to say! After all, you want your speech to be one that is truly appreciated and remembered fondly by all. Don't be too fearful of the future. Even though the uncertainty can be intimidating, and it's almost guaranteed that all of your classmates are also nervous, don't focus too heavily on that aspect in your speech. You're there to celebrate, so make the speech one that is positive and uplifting, pointing toward the hope you have regarding your future and the future of your classmates. Don't belittle or bad mouth the experiences you've had. No matter how happy you may be to be moving on - perhaps leaving a school that you didn't enjoy or classmates that you've had conflicts with - you should never leave your audience with an impression of disdain. Celebrate the moment and don’t focus on the negatives of your school experiences. Don't make inappropriate jokes - and be careful if poking fun. This should be done only very gently and if you are absolutely sure that you will not be causing ANYONE offence. In closing graduation speeches, you should always summarize the event, again emphasizing the importance of the moment as one that marks the arrival of the future and a movement away from the past. End with a positive and hopeful note, giving your classmates the right step into their futures and your audience an appreciation for your passionate approach to your own future.